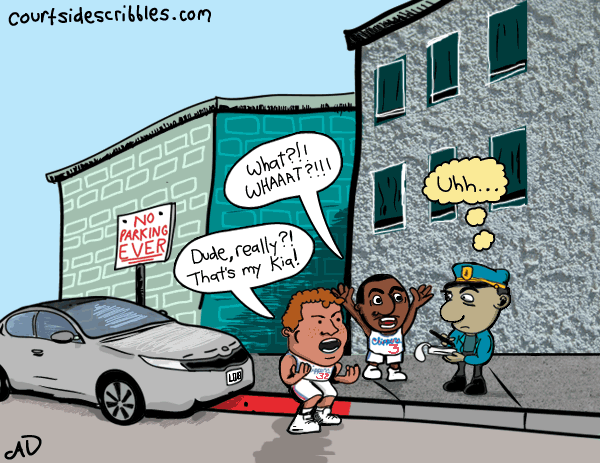 Don’t you dare ticket Blake Griffin’s Kia. Blake and Chris Paul were All-NBA complainers for years. Don’t get me wrong, there are valid times to question a call, but every single time? You never did anything wrong guys? You NEVER parked in the red zone while you went into Del Taco?